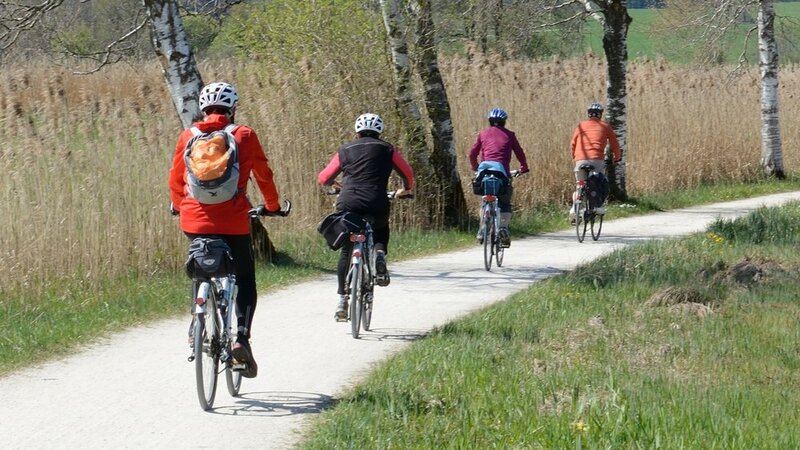 If you’re an active cyclist, you know loosing a day out of your weekly routine just doesn’t sit right. When a day stretches to two or more—cue exploding head emoji. There are a variety of factors that can affect whether or not you’re able to get out the door and jump on your bike. 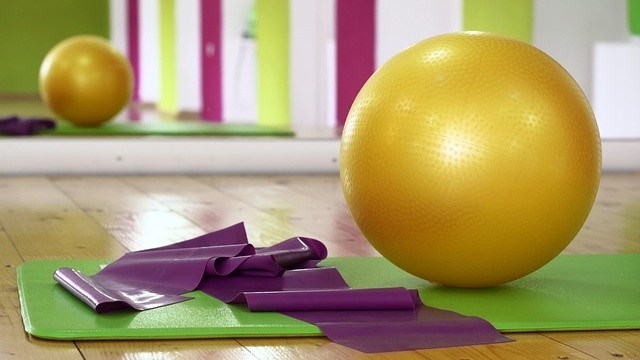 An indoor trainer could be your solution. Severe weather conditions are recurring reasons why cyclists are forced to skip their ride days. Cyclists with young children face obstacles tenfold when trying to work in ride times. Or—as we all have experienced from time to time—maybe it’s just one of those days when leaving the house just doesn’t sound appealing. Whatever the reason, an indoor trainer makes any excuse for not getting a ride in practically inexcusable. Indoor trainers are great for their convenience and come in a variety of styles to choose from based on factors like budget, resistance, adaptability, etc. Rollers are the most basic type of trainer and usually, the most affordable. Using a roller is definitely a balancing act since nothing is keeping your bike in place and the rider is required to ride on top of three spinning rollers. These come in a few forms (wind, fluid, magnetic), are fairly portable, and prices definitely vary depending on style and features. They typically require the back wheel to be pressed against a roller and a feature used to create the resistance you need to reach your peak performance. The harder you pedal, the more resistance you’ll create via the mechanism near the back wheel. Smart trainers are the most expensive of the bunch, but they give you the most bank for your buck. These are the tech-savvy trainers that offer you electronically adjustable resistance, data analysis, bluetooth capabilities, power sensors and more. Before you make your final purchase, make sure you do your research to determine which trainer is best suited for you. Remember to factor in your budget, your desired level of resistance and your capability preferences. Active lifestyles require plentiful amounts of nourishment to fuel performance. Whatever you work off, you’ll need to build back up to replenish what your body has lost. Along with the recommended three square meals a day, snacks throughout the day are important too. Check out some of our favorites! Prior to your ride, snacking on a balanced mix of proteins, fats and complex carbs is the way to go. In regards to carbs, both complex and simple carbs are used to produce energy. However, the body breaks down complex carbs at a slower rate; making them ideal to start with before lengthy workouts like mile long bike rides. You can’t go wrong with whole grains like granola. You can mix it in a bowl with milk as cereal, pour on top of yogurt with fruits or nuts, take with you on the go as a packaged bar or snack pack, etc. The variations to enjoy granola are endless. Pop a slice or two of whole grain toast in the toaster for a quick energy boosting snack. You can lather it with an almond or peanut butter spread—Peanut Butter & Co.’s White Chocolate Wonderful is a guilty pleasure of ours. Or, layer it up with protein-packed toppings like avocado, tomato, hard-boiled eggs or salmon slices. Your mid to near-end breaks are when the following snacks come in handy. They’re good for many reasons, but we mainly like them for their convenience and energy jump start. Remember how we mentioned earlier that complex carbs were good at the start of your workout? Here’s where simple carbs—good for short-term energy boosts—should come in to play. Along with being easily storable (jersey pockets, seat bag, backpack), energy bars are perfect snacks to give you that extra boost you need to finish your ride. With so many brands to choose from, we’ll share our favorite two with you: CLIF and Bearded Brothers. CLIF bars are packed with carbs, proteins and fibers, and if you didn’t already know, were thought up on a bike back in 1990. You can purchase flavors like Crunchy Peanut Butter, Berry Pomegranite Chia, Mint Chocolate Chip and more. 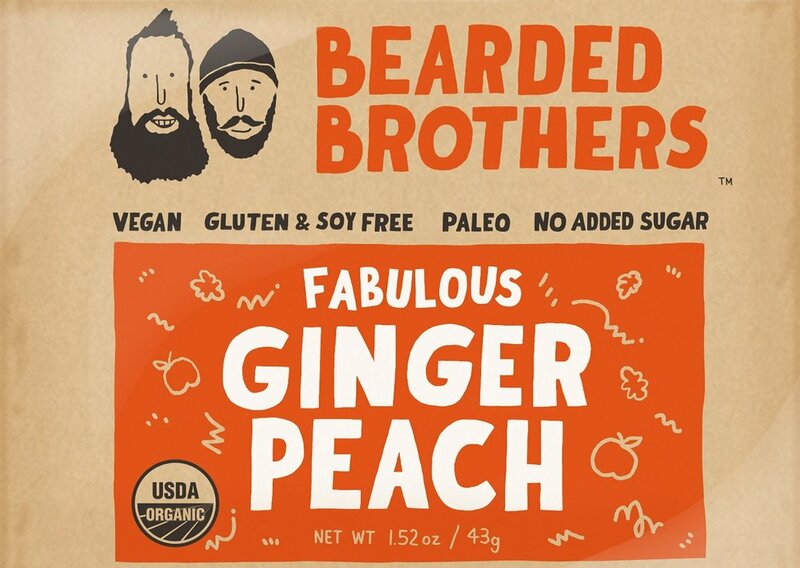 Bearded Brothers energy bars are 100% organic and made from raw ingredients. Choose from unique flavors like Raspberry Lemon, Blueberry Vanilla, Ginger Peach and more. You want to ride like the pros? Why not snack like them too. Honey Stringer Waffles are a big hit in the cycling community. These yummy snacks are created by sandwiching two thin waffles together with oh so sweet, natural honey. They’re also 0% trans fat and 0% cholesterol. Pick-up a variety pack to taste test flavors like vanilla, carmel, cinnamon, lemon and more. They may not be organic, but you know what, they definitely get the job done with a sugar boost that will keep you from bonking. Peanut M&Ms are a nice sweet and salty treat that give you protein from the peanuts and some sugary goodness from the coated chocolate. You did it! Now it’s time to—as Donna and Tim from the Pawnee Parks and Recs Department would say—treat yo self. Now, we want you to indulge, but at the same time not head to the closest fast-food joint. Be sure to treat yo self to some post-ride eats that are yummy, yet nourishing. Pour yourself a tall glass of chocolate milk to replenish the glycogen that’s drained from your body. You get to enjoy a sweet treat while simultaneously gearing you body back up for your next ride. Protein smoothies and shakes are fun snack choices, because you can customize them. Whether you’re making one at home or hitting up a local shop, the combinations are endless. They also encompass all the goods that your body needs to recover. Combine your liquid base + your nutrients + your protein + your fat and you’ve got yourself a scrumptious post-ride snack! Feel free to add any additional flavors if it needs a little something. Spring is upon us y’all and you know what that means: the pros are coming out of hibernation. The snow will soon be gone, the temperatures will start to rise and the pros will hit the streets for the year’s upcoming pro cycling races. Participating Pros: Alejandro Valverde, Anna van der Breggen, Peter Sagen, Alexander Kristoff, Niki Terpstra and more. Participating Pros: Niki Terpstra, Alexander Kristoff, Philippe Gilbert, Peter Sagan and Greg Van Avermaet. Participating Pros: Mikel Landa, Egan Bernal, Alejandro Valverde, Simon Yates, Giacomo Nizzolo and more. Participating Pros: Peter Sagan, Toms Skujiņš, Tejay van Garderen, George Bennett and more. Participating Pros: Chris Froome, Mark Cavendish, Mikel Landa, Nairo Quintana, Alexander Kristoff, Philippe Gilbert and more. Participating Pros: Nairo Quintana, Alejandro Valverde, Simon Yates, Gorka Izagirre and more. Along with our list of recommended pro cycling races to watch, there are plenty more to consider adding to your watch list. Also, if you’re unsure of where to watch pro cycling races live or whether your cable provider offers the appropriate channels, we suggest checking out NBC Sports Gold Cycling Pass and FloBikes.com. Both require subscription payments, but are well worth the small costs if you’re looking for reliable live coverage. Here’s to an exciting year of cycling! Are you looking for the perfect gift to get the cyclist you love for Valentine’s Day? We’ve got you covered! Check out our gift guide that will surely win over the heart of that special cyclist in your life. Take the cyclist in your life on a trip to Greenville, SC for a cycling vacation and stay at the most bike-friendly inns around. With two locations situated along the famous 22-mile Swamp Rabbit Trail, The Swamp Rabbit Inn and Properties are perfect for in-town or out-of-town cyclists eager for a cycling centered getaway. 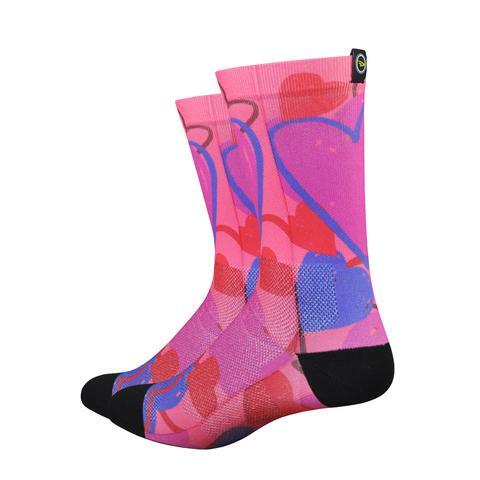 These unisex DeFeet Love Letter socks are a limited edition design that is only available for a limited time. Gift the cyclist you love these before they’re gone! You can never go wrong with a nice dinner. 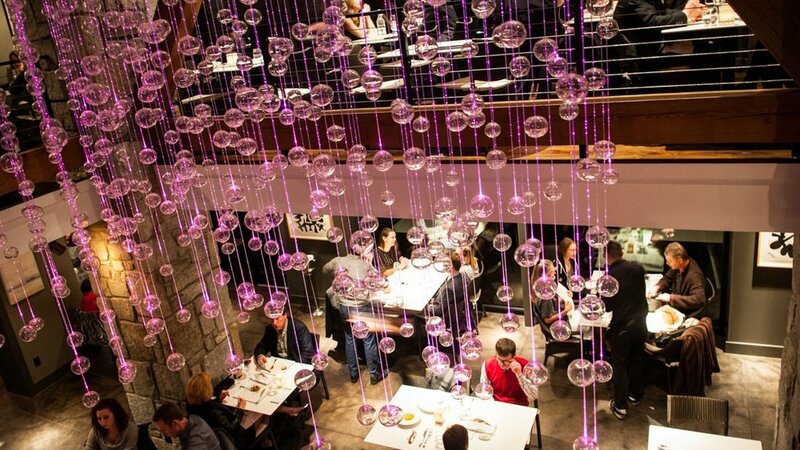 If you’e aiming to impress the cyclist you love with an evening out for Valentine’s Day, take them to Restaurant 17 at Hotel Domestique owned by none other than George Hincapie himself. As we all know, cyclists love their coffee. Give your cycling love a gift with a personal touch with this “I Love Cycling Thiiis Much” mug. You choose the face, skin color, hair color, and the language you want the message in. Just as the song goes—well, almost—all you need is a bike! Show your love of bikes with this “All You Need” t-shirt from Cycology. Styles, colors, and sizes vary. If you’re looking for something more on the fancy side, these Paul Smith cufflinks are perfect for when dress codes don’t allow jerseys and tights. The cufflinks in the form of racing bikes have a polished gold finish and Paul Smith signature embossed T-bar fastenings. You can never go wrong with jewelry. Handmade in the UK, this Wanderlust Bicycle Necklace is made from sterling silver, plated with 22ct Gold, with Ruby and Diamond. Give the gift of memory this Valentine’s Day with a picture of you and the one you love fitted in to this Bike Chain Frame. These metal frames are handmade in Oregon from recycled bike parts. Measurements are 4x6 frame: 6.5" H x 4.5" W 5x7 frame: 7.5" H x 5.5" W.
However you spend it, we hope you enjoy your Valentine’s Day with those you love! Stretch it out before you cycle out. Just as you would for any other workout or physical activity, you should always stretch beforehand to avoid muscle injury. Your muscles need to warm up before you put them through any strenuous activity like cycling. It’s also important to stretch afterwards. This helps reduce the chances of next day sore muscles that can last for days—nobody wants that! Lie on your back with both arms stretched out to the sides—palms up. Bend your right leg. Bring your left hand across to grip your right knee and bring it across your body. Push your right knee as far to the ground as you can with your left hand. Repeat with left leg and right hand. Begin half-kneeling on the ground; right leg bent out in front of you and left leg extended behind you. Push your hips forward and arch your back slightly. Interlace your fingers together and push out in front of you. Interlace your fingers and stretch up over your head. Rest both hands on your knee. Sit with your right leg bent in front of you and your left leg extended behind you. Square your hips to the front. Bend forward, and either extend both arms out in front of you—stretching as far as you can go—or rest both forearms on the floor in front of you. You can also walk your arms back to position them slightly behind you—elbows bent and hands facing the front—and arch your back. Repeat with left leg bent in front of you and your right leg extended behind you. Position your feet shoulder width apart. Place your hands either against a wall or sturdy object. Raise up on to your tiptoes. Hold for a few seconds, then lower back down. Repeat 15-25 times per set. 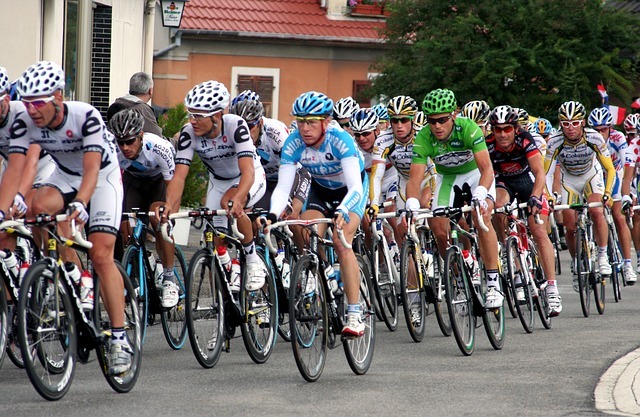 Obviously, cycling asks a lot from the muscles situated in the lower-half of the body. Any stretches that target your calves, thighs and gluts will benefit you greatly. Now don’t forget those upper-body areas that are put to work as well. Be sure to stretch out your shoulders, triceps, and biceps. So the next time you go to clip-in for a ride, pause to make sure you’ve taken the time to stretch it out before you cycle out!